Discussion in 'Bodybuilding Gossip' started by Korporalegq, Jul 15, 2012. A staggering $900,000 is up for grabs at Joe Weider’s 2012 Olympia Fitness and Performance Weekend, plus a special surprise in store for next year. America Media Inc. (AMI) and the IFBB Pro League, producers of the Olympia weekend are thrilled to announce that the prize money for this year's event has been increased to $900,000. "We're proud to be increasing the prize money at what continues to be the biggest event in bodybuilding," said AMI Chairman and CEO David Pecker. "The athletes at the Olympia are the best in their sport and the rewards they’re fighting for should be the biggest in the sport." This year’s Mr. Olympia winner is guaranteed a cool quarter-million-dollar check for his accomplishment. In addition, the Bikini Olympia and the Olympia 212 Showdown prize totals will increase by a combined $25,000. A new addition to next year’s Olympia, the IFBB Pro League has also announced that the winner of the 2012 Amateur Olympia will be granted a berth at the 2013 Mr. O. The 2012 IFBB Amateur Olympia is scheduled for November 29-30, at Kadalya Stadium in Kuwait City, Kuwait. “The IFBB’s mission is to give athletes all over the world the opportunity to compete at the highest level," said IFBB Pro League Chairman Jim Manion. “Thanks to the combined efforts of IFBB President Rafael Santonja, Mr. Olympia LLC and AMI, we are making it possible for athletes to follow their dreams and for fans of this great sport to see the best bodybuilders in the world." Industry leader Ultimate Nutrition once again presents Joe Weider’s 2012 Olympia Fitness and Performance Weekend brought to you by Bodybuilding.com. The weekend features the Mr. Olympia, 212 Showdown, Fitness, Figure, Bikini and Ms. Olympia contests and expo full of exciting events takes place September 27-30 in Las Vegas. Tickets are on sale now. Visit www.MrOlympia.com for further details. An extra 50K in Phil's bank account. 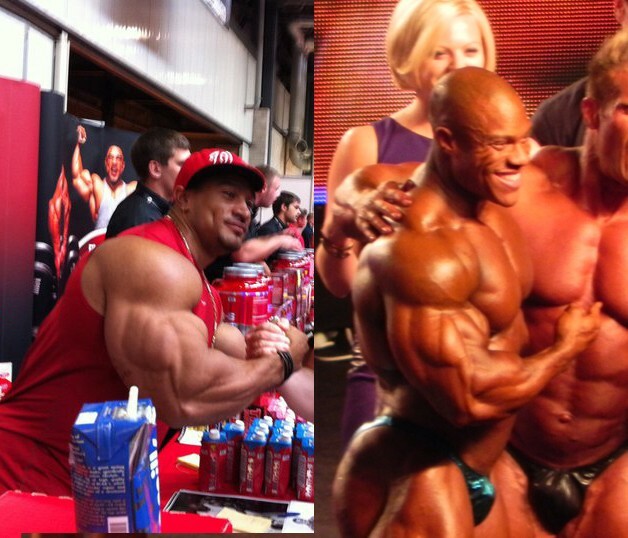 Meanwhile the Weider family get's 3 million, lol..... all good for the bodybuilder's though. I think it's silly to keep upping the winner's paycheck. They already make a ton of money if they win the Mr. Olympia not to mention the inevitable sponsorships and guest posings. IMO, they should use that money towards putting on a better show. The Arnold already surpassed the Olympia in terms of production and coverage, and it's not even the premier event in bodybuilding. Maybe bring in some celebrities, promote the Olympia more, and design more creative stage designs. Exactly, in no other sport do you see that happen really. I'm glad to see the 212 get more money. Those guys got next to nothing, man.